​Leicester boss Claude Puel has insisted that Leicester will only replace outgoing players if they are able to sign quality replacements, the Foxes coach insisting that the club will not replace players who leave for the sake of having numbers in the squad. The Midlands club have been fairly quiet in the January transfer window, selling Vicente Iborra to Spanish outfit Villarreal and allowing Fousseni Diabate to go out on loan to Sivvaspor in Turkey in the hope of helping him gain considerable first team experience. ​Speaking ahead of the club's weekend clash with Southampton, Puel said: "You spoke about Diabate, when we took back Harvey, it’s not just to replace him numerically. It’s because Harvey can give good help for us." Puel emphasised his strategy in the transfer market, stating: "Just because one player leaves the club, we do not automatically need to replace him. The most important thing is to keep the balance. I don’t want to replace a player just to replace a player, just to have another number in the team. It’s not necessary. "To find a good player now, in the winter transfer window, is always difficult or we need to spend a lot of money." 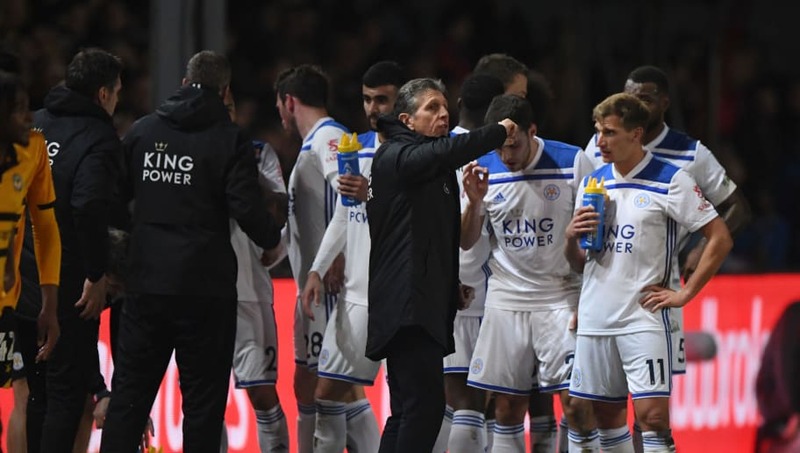 Leicester have many players who have been linked with moves away this month, out-of-favour midfielders Adrien Silva and Andy King as well as Christian Fuchs and Shinji Okazaki, who have spent most of their season on the bench. Puel refused to name specific players, but reassured every player that they will have their concerns heard and will be allowed to leave if it fits the club's plans. He said: “I cannot give for any player (the details) about their situation. In general, it will be sometimes a difficult transfer window and a difficult period to manage. We have to listen and to understand players without a lot of game-time and we will try to manage this tough period and keep the right way because it’s important for the squad."